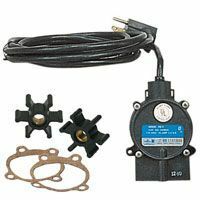 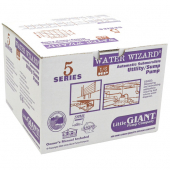 Little Giant 5-ASP-FS (505400) is a 1/6HP, Automatic, Submersible Utility Pump / Sump Pump w/ Float Switch, oil-filled motor lubricated for the life and a 10ft long power cord. 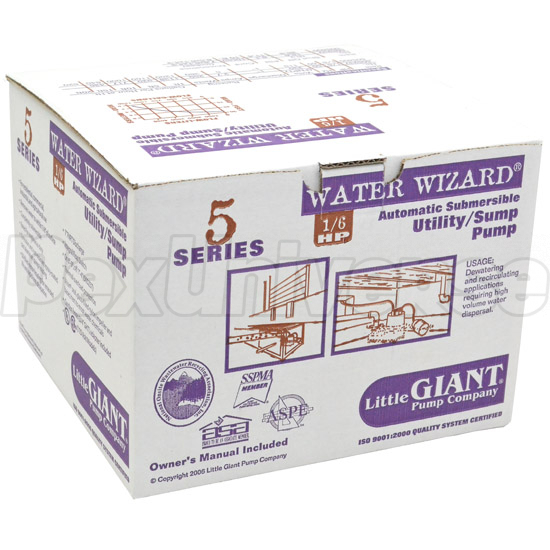 Little Giant 5-ASP-FS model 505400 is capable of pumping water down to 1/8" in "manual" operating mode (float switch has to be held up), while in "automatic" mode, float switch works with "on" level at 11" and "off" level at 3" of water. 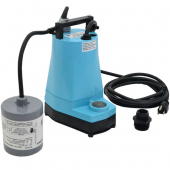 Little Giant 5-ASP-FS model is capable of handling up to 1200 GPH of liquid at 1" ft of head pressure drop and have a 1" FNPT discharge with an optional 3/4" garden hose adapter (included), as well as screened inlet for easy cleaning and maintenance of the pump. 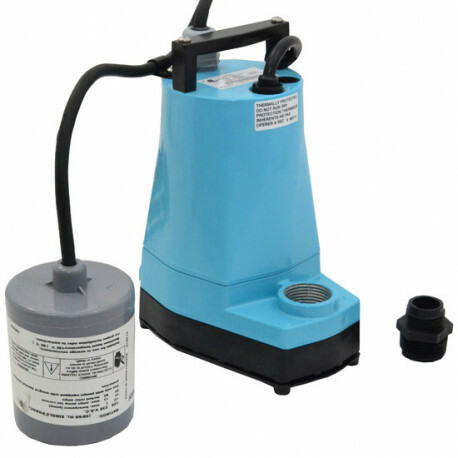 5-ASP-FS series utility pumps have an epoxy coated cast aluminum housing and can be used for a wide variety of applications, including residential, commercial, industrial and other de-watering and fluid transfer applications. 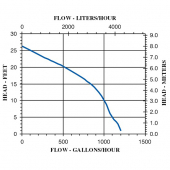 Manual Mode: Pumps down to 1/8"
Automatic Mode: "On" at 11" and "Off" at 3". 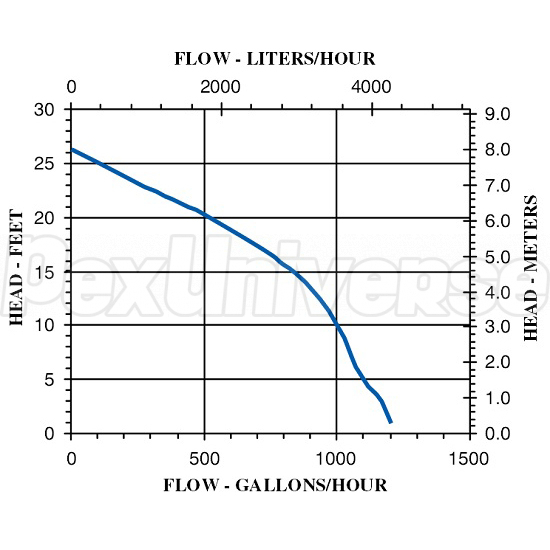 Dimensions (H x W x L): 8.5" x 4.31" x 6.12"